Bees are the world’s most important pollinator, and without them the planet would quickly go hungry. All of over the world, their populations are quickly decreasing, and scientists are trying to find out why. With the widely reported Colony Collapse Disorder, which was due to a disease, finally ebbing down, new research indicates that pesticides are also to blame. The scientists published their findings in the journals Science (1, 2) and Nature. The two studies in Science, which were published earlier this year, showed that colonies were severely affected when bees were exposed to neonicotinoid pesticides, commonly sprayed on crops. In one study, exposure led to a significant loss of queens in colonies of bumblebees (Bombus terrestris). In the other study, only honeybees (Apis mellifera) were affected. 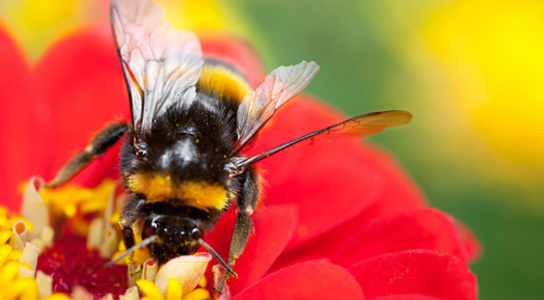 In a new study in Nature, researchers at Royal Holloway, University of London, in Egham, UK, show that low-level exposure to a combination of two pesticides is more harmful to bumblebee colonies than either pesticide alone. This suggests that current methods for regulating pesticides are inadequate because they only consider lethal doses of single pesticides. Low doses of pesticides have subtle yet significant effects on individual bees, and can thus seriously impact colonies. 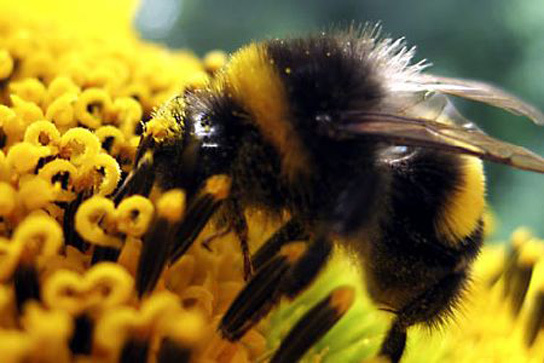 Be the first to comment on "Common Pesticides Are Severely Affecting Bees"